Jorja Arnott (10) fundraises for Dress Like a Pirate Day. 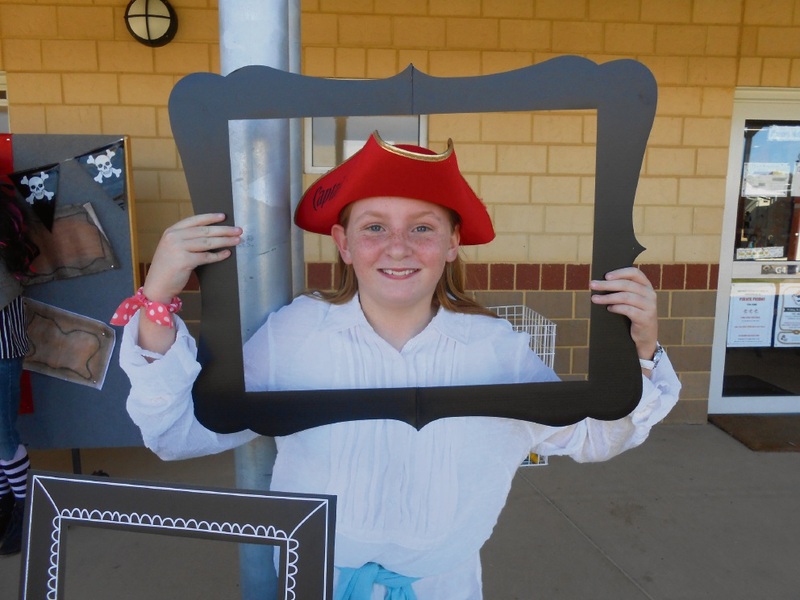 THERE were scallywags, scoundrels and Jolly Rogers aplenty when West Byford Primary School celebrated Dress Like a Pirate Day to raise money for a good cause. About 700 students donned eye patches, peg legs and hooks to fundraise for childhood brain cancer research earlier this month. Year 5 teacher Esse Deves, who had a personal connection to the cause, organised the charity day. “I wanted to have our school participate in Pirate Day Friday after I met Rick and Emily Parish in 2010, covering Rick’s plight to raise awareness of childhood cancer research,” she said. The school raised more than $2000 for The Adventurers, organised by Rick and Emily Parish, and The Kids’ Cancer Project. It was the first time West Byford Primary School had taken part in the event, which last year involved more than 100,000 students around the country.